Late summer on Piegan Pass in Glacier National Park. 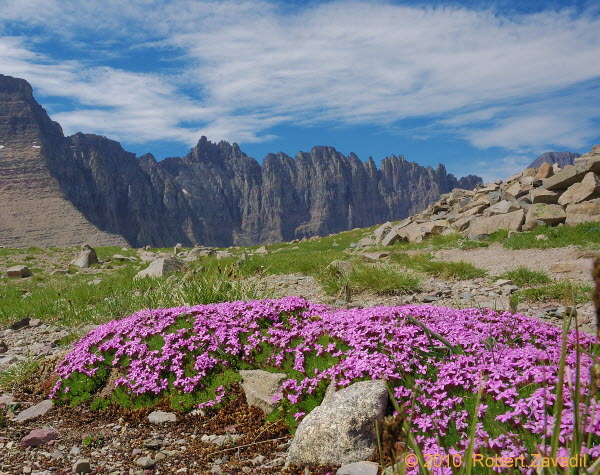 A carpet of moss campion brightens the pass. The Garden Wall is in the background.